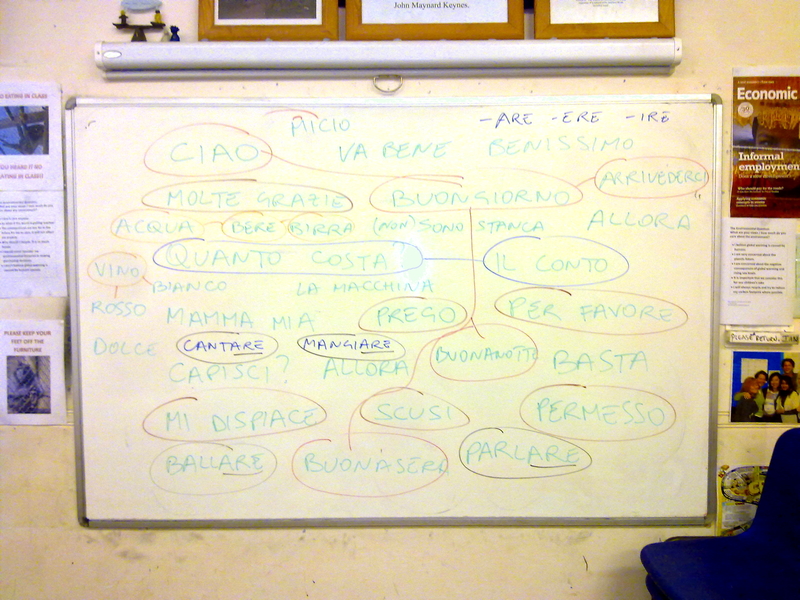 I’m really happy to inform you that I’ve been appointed Tutor of Italian at Varndean College here in Brighton. Varndean is an eminent institution in town, with a very solid reputation in Languages. Two weeks ago I started a 25-week beginners’ course for adults. I have a class of 18 very nice people, and we’re having lots of fun exploring the Italian language and culture in a relaxed and communicative way. I’ve got great facilities in the classroom: plenty of space, a whiteboard and a smartboard, so I can use every kind of resources, like Powerpoint presentations, images, etc. Congratulazioni Gianfranco!!! E che bell’istituto, mi par di capire. Un grande in bocca al lupo! A proposito, giusto per curiosità, come strutturi le lezioni? Cosa fai fare ai tuoi studenti? My wife took that course! Well done, excellent place.